Samsung mobile has announced a new sliding keypad phone, the Samsung B5310. The phone comes with a blend of fine technology and stylish eye catchy design. The phone features a TFT resistive touch display screen of 2.8 inches with a resolution of 240 x 320 pixels and 16M colors for sharp display. With the latest technology QWERTY sliding keyboard users can easily enter data. For faster data the phone also comes with a virtual full sized keyboard and handwriting recognition feature. 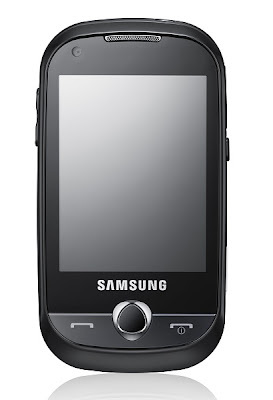 Stay connected with your friends via the high speed wireless internet offered by the Samsung B5310. The phone features a WLAN of type 802.11 g/b and comes with WAP 2.0 / xHTML, HTML Browser for highly safe and secured surfing experience. Internal memory of 100 MB which can be expanded upto 16 GB via MicroSD(Trans Flash) card for sorting high volumes of data. Stereo FM radio with RDS for getting tuned into some great music non-stop. GPS for easy road map guidance and navigation. 3.15 mega pixels camera with a high resolution of 2048 x 1536 pixels and video recording features. Bluetooth v2.1 and microUSB connectivity for high speed data transfers. Media player which supports DivX/MP3/AAC/WMA formats for unlimited-entertainment. Samsung B5310 is not yet available in the markets, so its price is not yet declared officially. 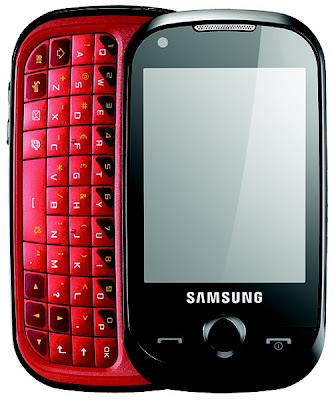 This amazing phone from Samsung is expected to hit the markets in the month of November 2009.